Since 1965 we have become the largest full-service residential hardwood flooring contractor in Northern Wisconsin, with a staff of more than 40 employees, each carefully selected for their expert knowledge of hardwood flooring and for their passion for doing the job right. We have installed more than 5 million square feet of hardwood floors over the years, but what I’m most proud about is that we treated each job as if we were working on our own homes. It’s all about customer satisfaction for us. Each customer becomes a member of the Ralph’s family. We’ve built our business by continuing my father’s commitment to enthusiastically working with homeowners to craft the floors they envision. We want the creation of your hardwood flooring to be an exciting, memorable, and positive experience you’ll cherish. Our staff stays on top of the latest materials, application techniques, and market trends, so we’re always offering cutting-edge solutions to provide the best results. But one thing that never changes at Ralph’s is our dedication to giving you exactly the floors you want, made as beautiful as possible with our well-honed skill and devotion to craftsmanship. H.J. 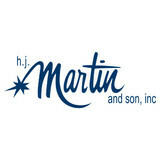 Martin & Son does full scale commercial and residential interiors. Anywhere from New construction working with local builders to small scale remodel projects. Focusing on the flooring material as well as custom tiled showers as well as backsplashes. We offer design service and the best selection, service, installation and warranties in the industry. Macco's Floor Covering, Inc. is a full service flooring and design company. We have six locations in the state of Wisconsin. We have been serving Wisconsin communities for 38 years! 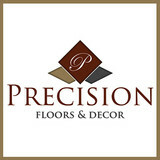 Flooring and Design, Interior Design, Stone, Tile, Carpet, Hardwood. Custom tiled showers, backsplashes, exterior and interior. Custom design services. What makes us special? Simply put, here at Home Interiors, we're fixated on flooring. Our big idea is to create a great experience all while crafting something unique to you, floors that your family will love you for. Just bring yourself, we'll cover everything else. Our Design Pros will find the right blend of style and comfort, while still balancing your budget. Like choices? That's what we thought. We have the best brands to make your space the best ever. With TWO showrooms in Green Bay and Appleton - Happiness truly is an inside job! The Tile & Stone Gallery is a specialty flooring boutique that provides porcelain tile, natural stone, specialty tile, mosaics, glass, metal tile, and custom/ prefinished hardwood flooring for residentail or comercial applications. The Tile & Stone Gallery is the area’s only flooring design center that specializes solely in hard surfaces. Whether you’re looking for high-end “wow” or everyday durability, our team will source the right flooring option to suit your needs and budget. In fact, we have relationships with many national and international suppliers and pride ourselves on delivering unique solutions for our customers. Owner and Master Craftsman Kenn Hensrud has been consulting with clients and installing hardwood floors since 1987. Working directly with builders, interior design consultants and architects, KOH provides valuable material knowledge and expert floor installation for exotics woods, hardwood floors and reclaimed/refinished floors. With over 2 decades of wood flooring experience, Kenn O. Hensrud, owner of K.O.H. Wood Flooring, has developed painstaking methods for creating some of the highest quality wood floors available. Here at Mr Sandman Hardwood Floors we take great pride in our work. Every job we do, we do with the highest expectations of our customers. We use top of the line products to insure a strong finish. -You can sleep tonight knowing your floors are done right! Hub’s Floor Covering, Inc. began operations in 1969. Hub and Janet Hermans, co-founders, started the business out of their home. This is a family owned business, and all members of the family have been involved at one time or another. From the beginning, the mission statement has been: “We personally install the floor covering that we sell, giving us control of the quality of workmanship”. What kinds of services do hardwood flooring installation professionals in Wrightstown, WI provide? Find hardwood floor experts in Wrightstown, WI on Houzz. Search the Professionals section for Wrightstown, WI hardwood flooring installers and dealers or browse Wrightstown, WI photos of completed installations and look for the professional’s contact information.